Congratulations! You’ve decided to get married and now is time to buy the wedding ring! London is a place where people come from far and wide to shop diamonds, and in particular to Hatton Garden because that’s the place you go if you need wedding rings London style. what do I mean by London style? They come with rich heritage, class and lets face it, this is where everyone is coming! So you might as well jump on the bandwagon. Wedding rings london style consists of many varieties. But its mainly about simplicity! Simple wedding bands that are special for the big day and for the rest of your life! Probably the most common of colours, silver can be the cheapest of all the options. Also not recommended to place a diamond in Silver due to its softer composition but you can get away with a nice design and look and feel, without spending too much. The only down side is that you need to take care of it and get it cleaned once in a while. Luckily there are polishing kits available in stores that you can do at home. Silver is good for a wedding band. This is a classic way to go for gold if you are not such a fan of the gold colour but still want the quality. It can also look like platinum if you want to fool your friends. Sometimes seen as a fashionable colour to choose, this can be a classic look to choose that will stay looking good for years to come. And if you don’t like it after some time then you can always get it made into white gold with minimal effort. The creme-de-la creme of metals. 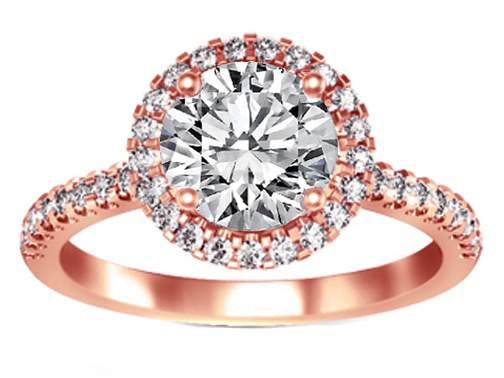 This durable and long lasting ring style is a classic. But its also the most expensive type! Why? Because its such a strong metal, that you don’t need to take much care of it. This style is also fitted more to men due to it’s weight, so if you are deciding and have some extra cash to spend, this is the choice for your guy! Now that you’ve seen the choices on offer for the metals to use for your diamond ring then head straight over to Hatton Garden and see what the choices are in person.